Recently, the anarchists have orchestrated a controversial project in New York that highlights a collection object from an historic house museum as well as using an historic building in a new way. (left) This makes an even bigger splash than previous projects incorporating artist interpretations of collection objects and is, at least, a creative attempt to connect a wider community with an institution’s collections. Might this be replicated on/ for one of NC’s cultural heritage institutions? What do you think about bright murals on 18th-century wood siding? If you’re thinking of including QR codes in an upcoming exhibit as a portal for the students (in the streaker-stroller-student visitor continuum), this post is for you. NC’s own Michael Scott, Curator of Education at the High Point Museum has added comments from his past experience at the NC Museum of History to a fascinating discussion of the QR code issue that appeared on the AAM Registrar’s Committee listserv last week. The QR codes that we used for the Watergate exhibit saw very low use…the highest usage numbers were for the codes at the edges of the exhibit and very little for the ones inside the exhibit.There [are] also some QR codes outside of the museum for garden plants. One of them had a song attached to it and had received higher use than some of the others, but it was still a low number. [However,] I still like them. Not a lot of institutions can afford to buy devices or to build an app or to even redesign a full web site to be mobile friendly, but they can still link to a page either on their servers or to something that they have stored elsewhere online. There is a large bar of entry to using them (device, wifi, time, etc…) but I think that just means that whatever you’re wanting to link to needs to be very compelling material. Some information just might not be [attractive] enough for a QR code and not a high enough priority to be in the physical exhibit. Until the use of NFC/RFID becomes more widely used, I see the QR code as really the only tool available to [provide more in-depth information at the point of viewing]. Generally, it think that it’s a matter of finding a balance between content, access, and resources available to an institution. For the same cost (time, money, etc..) as generating a QR code that links it to a video you shoot on a iPhone that’s hosted on Youtube, what other options are there? Decide that yes, I want to take the time to connect to wifi, accept the wifi policy, connect, scan, go to the site, and then dig for whatever it is I’m looking for. Do all of the above. QR codes work brilliantly for machines. They’re designed for machines to read quickly. Their applications for humans are, in my personal opinion, small. There’s a lot of maintenance that goes in to making them, a lot of vigilance needed to maintain good links to content, not to mention the creation of the content itself, and the hurdles of bad wifi- particularly if your building is a granite or marble bunker. Let’s add to that the hurdles of privileging content to those who have access to smartphones, and are savvy enough to understand the “scan QR code, get info” mechanics (of course, having on-campus devices to loan helps lower that barrier, but there’s another thing you need to maintain and track and charge, and train non-native users on how to get the content from the QR code). Tracey suggests creating a web site with additional content and including a shortened URL on the exhibit labels. You can also use an app to do this if you have one, but that requires a lot of hoops with iOS/android development, and again pushes out those edge cases. A responsive web site works on any device (tablet, phone, laptop, desktop) and can give more people more access (and provide loaner devices to get more people more access). Thus ends my rather long winded treatise against QR codes. Nathan Stalvey, Director of the Clarke County Historical Association in Berryville, VA, reported mixed results when testing the effectiveness of QRs at the Louisville Slugger Museum. Has your institution experimented with QR codes? When was the last time you used one? Thanks to Beth Bullock, Jayd Buteaux, Caitlin Butler, and Bonnie Soper for this guest post. The students first presented this information during a poster session at NCMC‘s annual meeting last week and we’re grateful to be able to share it with NC C2C’s online community. In the fall of 2014, graduate students at the University of North Carolina at Wilmington started a yearlong project focusing on the preservation and interpretation of slave dwellings. The first part in the process was to gather information on the community’s general impressions about slavery and slave dwellings. We conducted 90 visitor surveys at the Bellamy Mansion and 12 focus groups with various individuals across age groups and races within the local Wilmington community. This was done in conjunction with research on various slave dwellings, the history of slavery, and slave dwelling preservation. 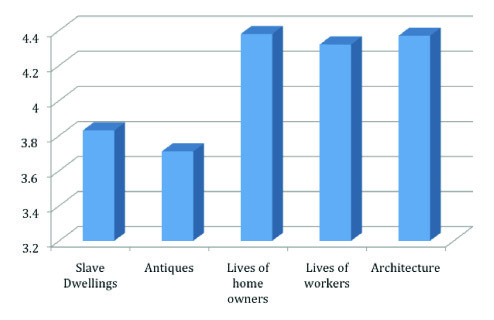 The data we compiled represents the largest known collection of visitor responses regarding slave dwellings and offers great insight into visitors’ interest in slavery, slave dwellings, and preservation. We asked visitors about their knowledge, associations, assumptions, and interest in the history and preservation of slave dwellings, particularly their impressions from visiting the slave quarters at Bellamy Mansion. We also conducted focus groups with various stakeholders, including African American genealogists, historic preservation professionals, African American community leaders, African American parents, and museum docents. 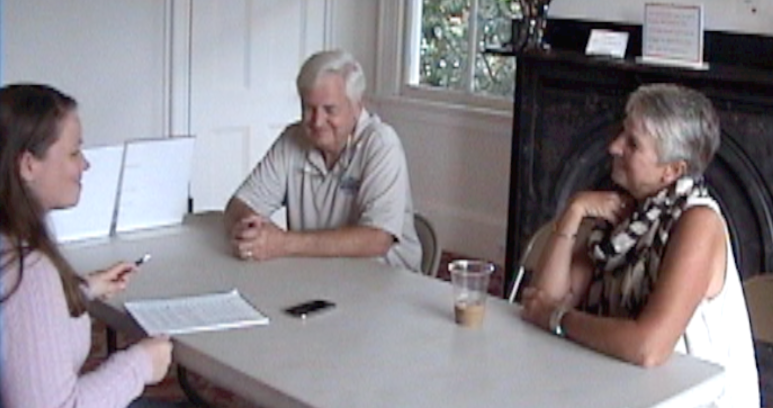 The small group interviews helped us gather in-depth responses about the relative importance of preserving slave dwellings and what people want to know about slavery, slave dwellings, and their preservation. Through these surveys and discussions, we found that there were huge gaps in knowledge of the history of slavery. Most visitors envisioned slavery as a Southern, rural phenomenon and pictured an antebellum plantation setting. Visitors exhibited surprise when presented with an urban slave dwelling, proving that visitors needed context on the differences between rural and urban slavery, and the changes in slavery over time. These gaps in knowledge were found amongst all age groups and walks of life. Other themes that became apparent throughout the project were the lack of awareness of agency in the enslaved community and the impact of media representations upon modern perceptions of slavery. There was also contention over the preservation of slave dwellings and their interpretation. Some participants in the focus groups expressed concern over the authenticity of the representation of slave dwellings. Our findings prompted research into local slave dwellings and the existence of slave dwellings throughout the Northern and Western United States. These insights will inform our upcoming public exhibit on the preservation of slave dwellings, but can also aid other museums and historic sites in understanding their visitors’ assumptions and correcting myths in visitors’ knowledge. 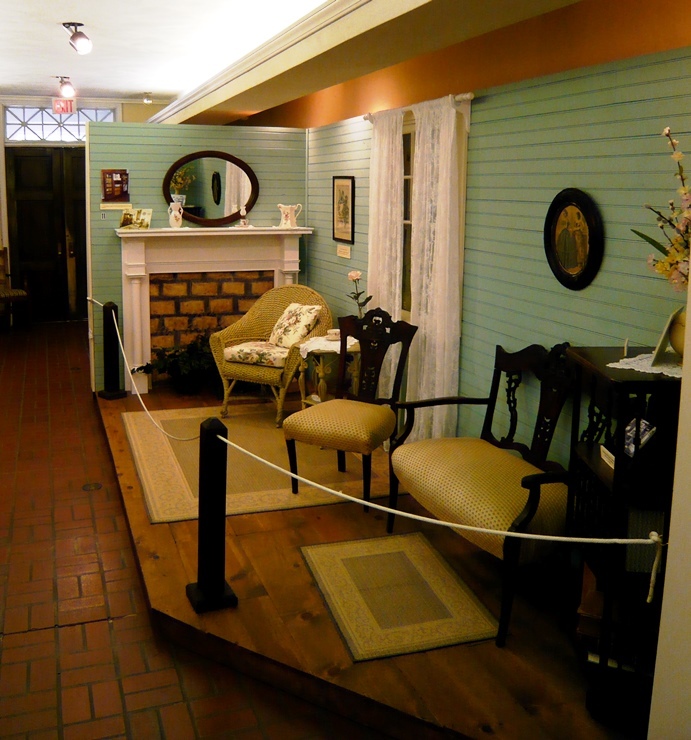 The exhibit will open at the Bellamy Mansion Museum in Wilmington, NC next month (May 2015). 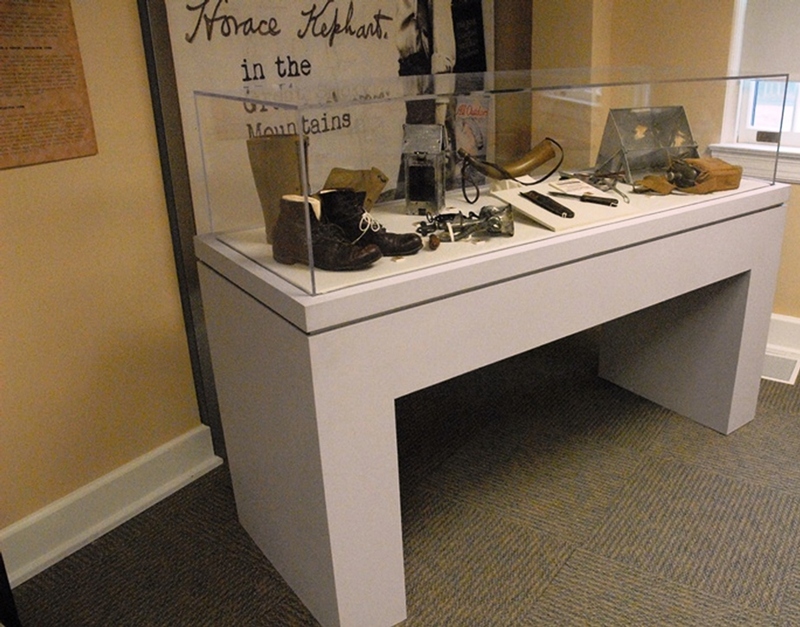 Many thanks to Matt Provancha, Exhibit Developer Extraordinaire at the Mountain Gateway Museum, for this guest post. Up until the mid-2000s, the Mountain Gateway Museum and Heritage Center was known as the Mountain Gateway Museum and Service Center. No, you couldn’t get an oil change or your tires rotated while you were learning about Appalachian history or touring one of the cabins. 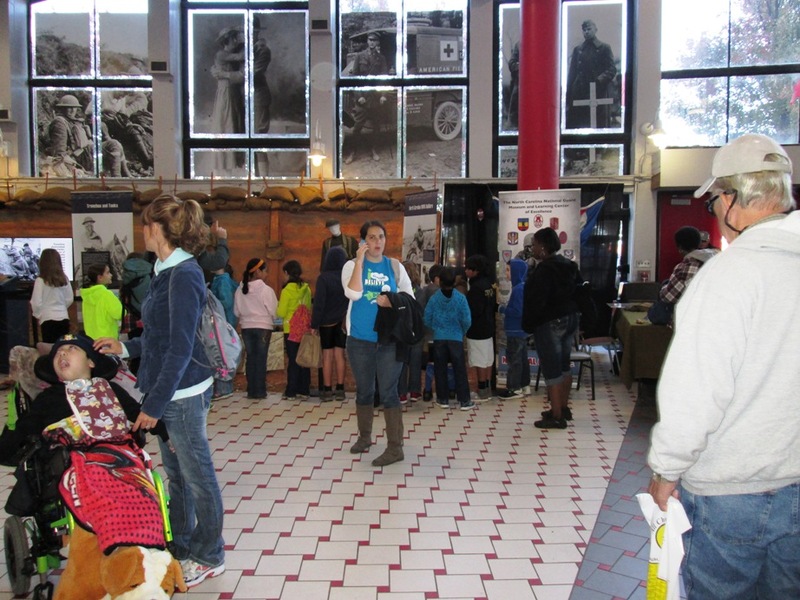 The designation “Service Center” referred to the museum’s Exhibit Outreach Program (EOP). You see, since the museum joined the NC Department of Cultural Resources in the late 1970s, part of its mission has been to share the collective experience of its museum professionals with all the little history museums and historical societies in Western North Carolina. Since the Mountain Gateway Museum (MGM) is the smallest museum in the Division of History Museums (with the largest service area) this exhibit outreach program has greatly increased the impact our little museum has on our part of the Old North State, extending our reach well beyond our walls. 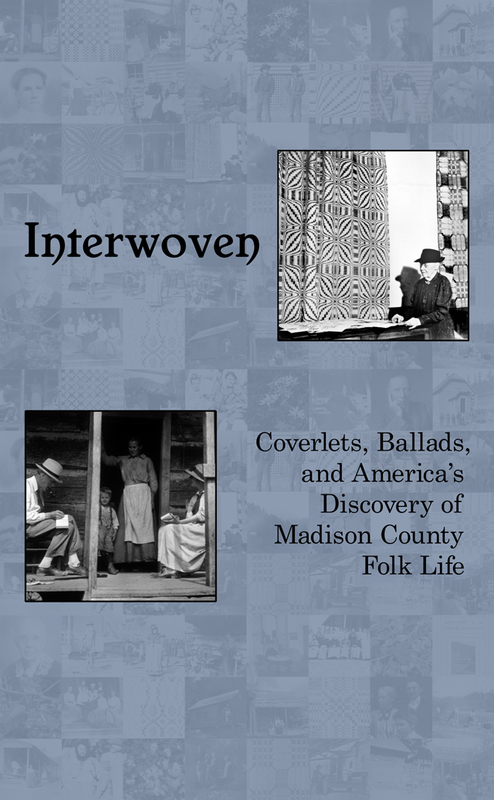 Provancha designed this exhibit title panel for the Rural Heritage Museum at Mars Hill University. We assist qualified agencies with planning their exhibits by utilizing their existing research to develop an organized and engaging storyline. We advise them on collections care in the exhibit environment, and collections storage. We help them design their exhibit layout, as well as simple informational and graphic exhibit elements. We will design and fabricate exhibit elements, such as: display cases, artifact-specific mounts, and other exhibit furniture as necessary. Provancha built this case for NCDCR’s Western Office in Asheville. Utilizing the knowledge and resources of the EOP can open many avenues for history-based organizations interested in developing and displaying a high-quality museum exhibit at their institutions. For more information on this program, visit our website at MountainGatewayMuseum.org and click on “Outreach,” or give us a call at 828-668-9259. 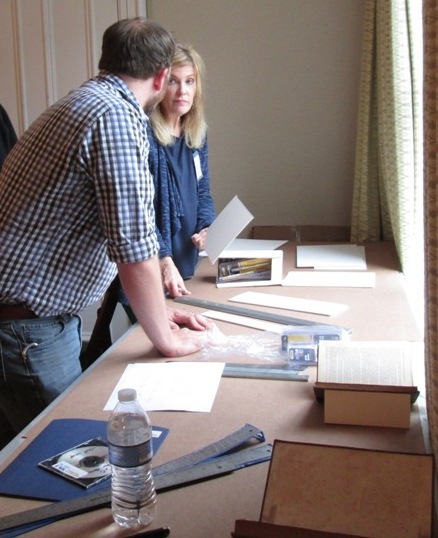 North Carolina’s Anne Lane initiated a discussion several months ago on an international blog—“Registrar Trek” about light damage and the usefulness of exhibit rotations for preservation. [We also picked up on this idea in one of our posts last spring.] Our whole C2C team is a fan of Anne’s; she is an extraordinary collections manager who is currently working at WCU’s Mountain Heritage Center and previously devoted many years of her professional life to the Charlotte Museum of History. She combines broad preservation knowledge with impressive hand skills and a helpful spirit, and we’ve been fortunate enough to benefit from her as guest poster for this blog, as well as an instructor for C2C box-making workshops. Anne’s Registrar Trek post elicited two useful responses from preservation experts. Both stress the need to assess of a variety of risks more holistically, rather than a singular focus on light damage. Instead of leaving them embedded in the comments section of Anne’s post, it may be helpful to our readers to see them up-front here. 1. Mark H. McCormick-Goodhart, Director, Aardenburg Imaging & Archives: I don’t know of any materials that rejuvenate from light induced damage in dark storage. I do know of materials that continue to degrade due to light-induced damage after removal from display and subsequent dark storage. I also can cite materials that can recover from some discoloration by fresh exposure to light, but it’s kind of a catch-22 as some components (e.g., inks on paper) in the artwork are being further degraded while other components (e.g., color of the media) are being improved by further exposure to light. 2. Robert Waller, Ph.D., CAPC, FIIC, President and Senior Risk Analyst for Protect Heritage Corp.: Mark makes an excellent point about needing to evaluate light damage relative to other risks to the collection in order to understand its importance. It would be a shame to keep objects from view only to have them degrade in other ways or be lost to fire, flood, or theft long before their useful display life has been used. Recognizing the importance of considering risks in context is the driving force behind leading institutions now embarking on comprehensive collection risk assessments. If there are one or more risks other than light damage that dominate the risk profile to a collection then there may be little point to rotating which objects are on exhibit. Agnes Brokerhof and colleagues presented this issue well in their 2008 paper, now available in book form. Thanks to Anne for getting this conversation going, and thanks to Mark and Rob for such an insightful discussion and their willingness to share it with our audience. This year begins the commemoration for the World War I centennial. The State Fairgrounds has a connection to that topic, since it was once the site of Camp Polk, a WWI tank training facility. 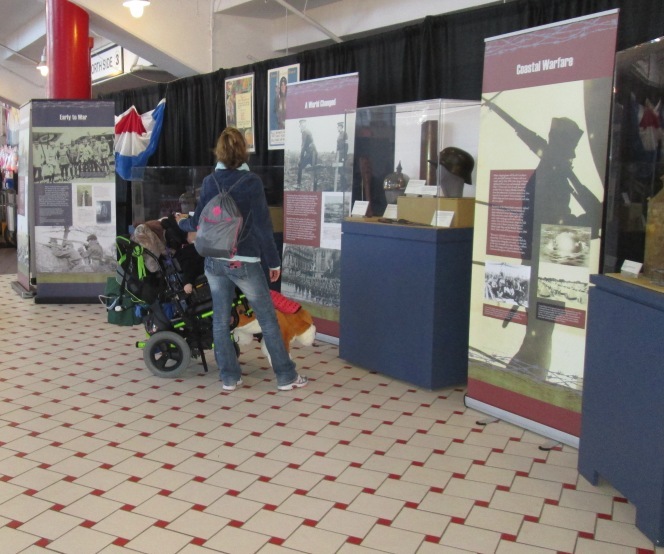 The NC Department of Cultural Resources partnered with the State Fair and the NC National Guard Museum to create an exhibit on World War I as part of this commemoration. LeRae Umfleet, the department’s Supervisor of Education and Outreach and C2C’s Project Director, coordinated the project, which involved various divisions within NCDCR. She and Lt. Sean Daily of the National Guard Museum created the immersive environment—a trench. The NC Museum of History supplied some WWI artifacts and cases. Archivists, a videographer, and a graphic designer digitized historic images and produced photo blow-ups, retractable panels, and video footage. Re-enactors included State Historic Sites staff. Military Appreciation Day at the Fair (10/22) involved special programming tied to the exhibit and additional support from NCDCR staff and volunteers. About 20 NC Historic Sites staff members and a number of additional re-enactors dressed out in military attire, representing eras from the French and Indian War to Desert Storm, for a morning parade and an afternoon military uniform revue. 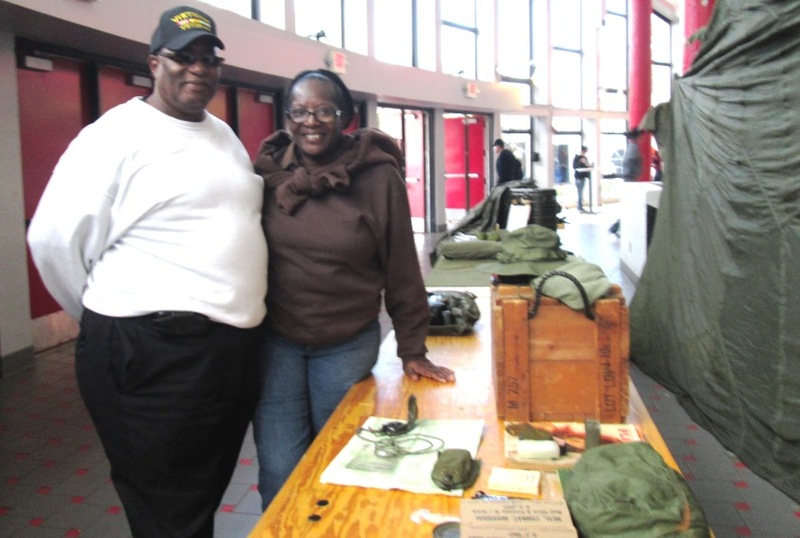 People filled the exhibit throughout the day, and the programs drew crowds, including many veterans and their families. Why go to the trouble of an exhibit for an 11-day event? Because the State Fair brings hundreds of thousands of North Carolinians from different walks of life together in one space. Some of those fairgoers are not regular museum or historic site participants. If the exhibits and programs pique their interest, they may be more likely to consider these institutions as worthwhile destinations. John Guss, Site Manager for Bennett Place dressed as a Civil War soldier and relished the day’s outreach opportunities. 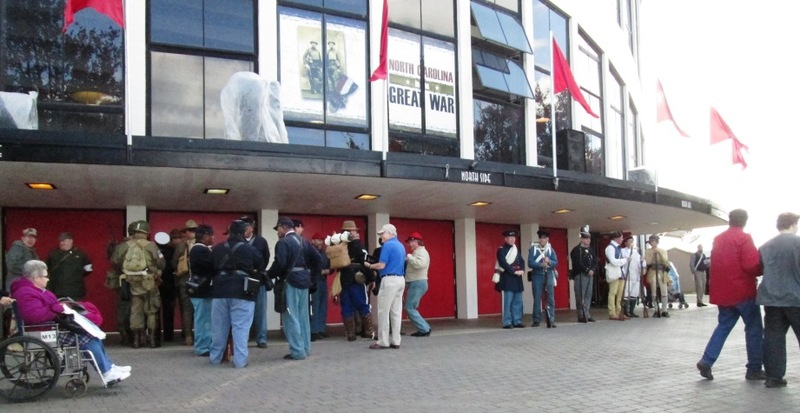 “I don’t believe there is any better collective way that North Carolina State Historic Sites can connect with potential visitors and supporters than by being at the NC State Fair each year,” he commented. Additionally, a history exhibit dovetails well with the Fair’s other educational features and helps to highlight the uniqueness of the state. Several of the exhibit’s components (specifically, the costumed manikins, graphic panels, and video) will be available to travel around the state for future WWI commemorative programs. Did the numerous attendees absorb any of the exhibit’s information? Visitor timing and tracking studies can help answer this perennial question. The exhibit lined the pathway to the women’s room in the Dorton Arena. Consequently, many viewers were passersby and others may have enjoyed the learning opportunity while waiting for companions. A timing/tracking estimate suggests that about half of the people in the space paused to look. Most, especially younger visitors, were attracted to the trench scene and video footage. The graphic panels and artifact cases attracted fewer visitors, and these tended to be older and male. The one interactive component was a tablet for typing in “your World War I story” and contact information. Only one older woman within a 2 ½ hour period entered information. However, visitors regularly used their own mobile devices as ways to interact with the exhibit by taking pictures of aspects that particularly interested them. What objects were most engaging? A pair of Vietnam War re-enactors had set up a 2-table display with equipment and supplies. A number of veterans of that war and their companions, often female partners, came to look closely at those objects. Many exclaimed how well they remembered something and the object prompted them to tell a story. Packaged food—“C-rations”—elicited the most reminiscing, perhaps because of the mundane and daily nature of those articles in wartime or perhaps because the memories surrounding food were less serious than those relating to weaponry and other equipment. Regardless, the objects functioned as portholes to the past for these visitors and helped them “bridge” with staff and other visitors. 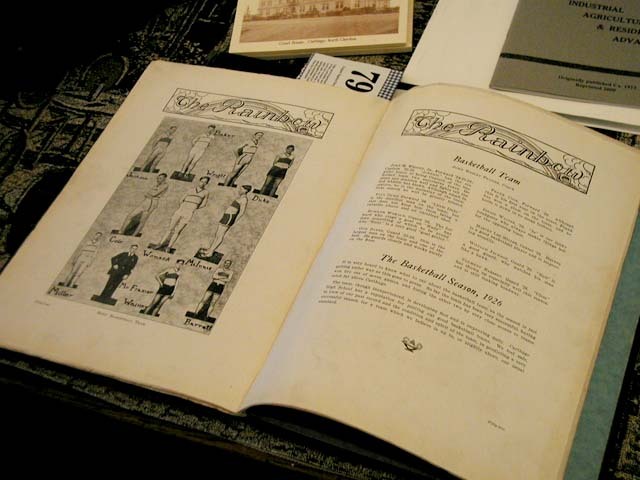 Bringing historical materials out of your institution and into other community venues can have tremendous outreach benefits, in terms of both quantity and quality. Has your organization tried this? If so, how have exhibits been received beyond the museum walls? As we’ve written here before, historic house museums across the country have been struggling with declining visitation and funding since the 1980s. At the Glensheen Estate in Duluth, Minnesota, annual visitation to the 39-bedroom mansion fell to 50,000 in 2012. To combat this trend and avoid closing, Glensheen and other historic houses are experimenting with new kinds of programs and interpretation strategies. The following 3 examples from the Midwest and New England may be worth a try in North Carolina too. 1. Three Minnesota historic house museums, including Glensheen, the Alexander Ramsey House in St. Paul, and the American Swedish Institute in Minneapolis, have “taken down the velvet ropes” for innovative programs designed to attract new audiences. History Happy Hour is an opportunity for younger and older adults can mingle inside period rooms, learn about and discuss a historical topic, and drink wine. An organizer calls such gatherings “thinky drinky events,” and they’ve helped boost both earned revenue and visitation. At Glensheen, the new approach has boosted the historic house’s previously languishing visitation by 19%. Despite the increased collection risks from handling and theft, so far, there has been no noticeable artifact damage from the new programs at these sites. 2. 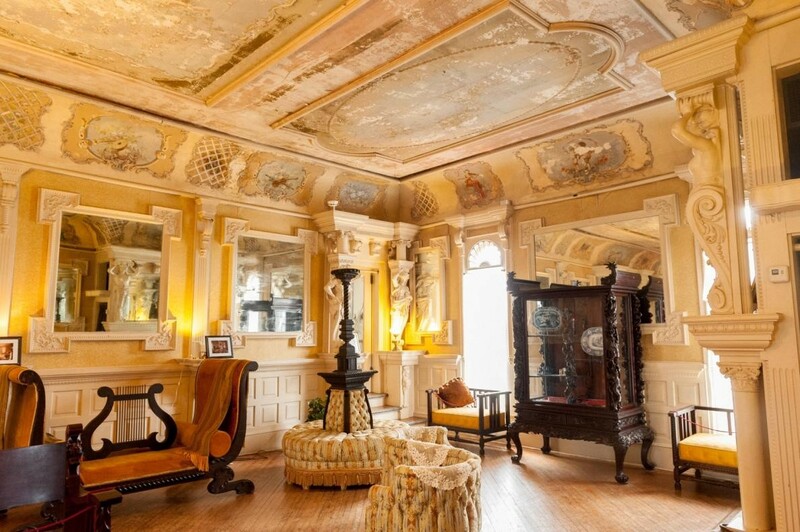 The Hunter House in Newport, Rhode Island has re-imagined the period room and turned the house into a series of interpretive exhibits on the meaning of decorative arts. Each room conveys a different main idea with a juxtaposition of objects. For example, furniture construction is the topic in one bed chamber; the hallway exhibits changing styles with chairs; and the kitchen is filled with objects representing nostalgia for the colonial period. While this approach allows more interpretive flexibility and distinguishes the Hunter House from the many other historic houses in its area, it may have little effect on attracting new audiences. The study of decorative arts is perhaps increasingly esoteric and its interpretation in this instance relies on traditional wall labels and/or guided tours. 3. 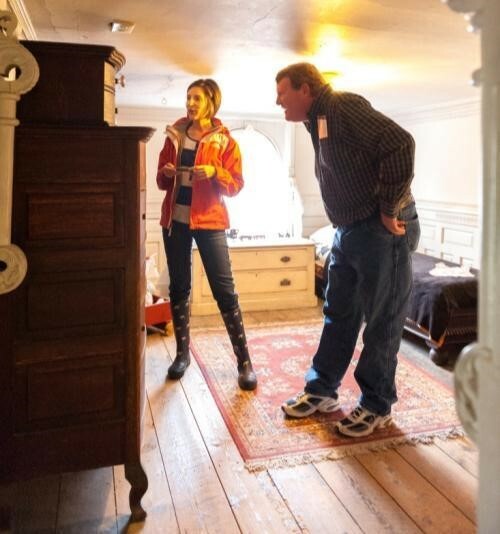 The Strong-Howard House in Windsor, Connecticut is transforming into a completely hands-on visitor experience. By researching probate inventories and studying period furniture, staff has directed the reconstruction of furniture and accessories in several rooms. They now invite visitors in to try out the rope mattress canopy bed. For special events, guests can also dine on food made from period recipes and use reproduction furniture and implements. The downside of the Windsor Historical Society’s experimentation with audience engagement is that it doesn’t come cheap. The Strong-Howard project cost $500,000 for phases I & II, amounting to restoration work on the building itself and two rooms full of reproductions. Phase III, which will include the kitchen with a working hearth, will require an additional $200,000 and will open in fall 2015, as long as fundraising progress continues on pace. 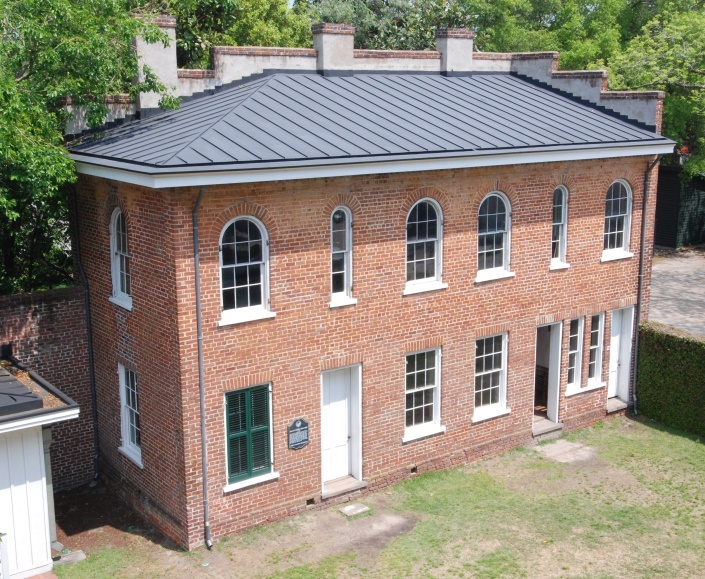 Do you know of audience engagement experiments within a North Carolina historic house? If so, do you consider the new approach successful?